Why should Ayton Smiddy supply your new building? 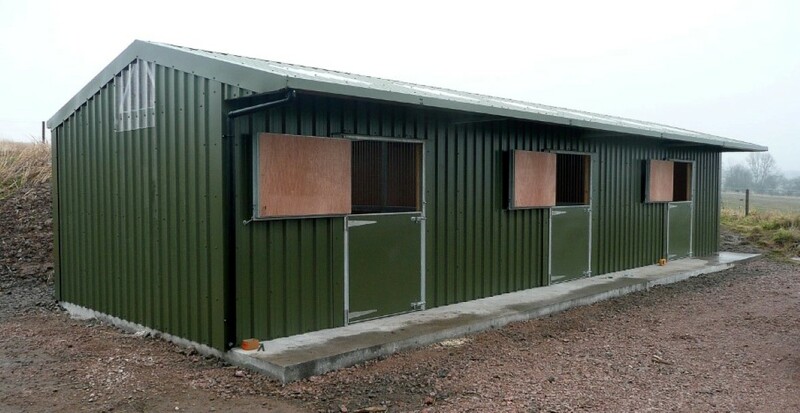 At Ayton Smiddy we provide full details of our comprehensive range of buildings, including industrial buildings, equestrian centres, stables, shelters, barns, garages and workshops. We also showcase some of the bespoke projects we have completed for our clients over the years. Of course, if you don’t find exactly what you are looking for, we would be delighted to discuss your individual requirements by telephone or in person. You are very welcome to visit our office at Ayton, Newburgh, Cupar, Fife KY14 6JQ. When you purchase any of our fine range of quality buildings, we want you to feel proud you have selected a Ayton Smiddy product. We do this by creating buildings that have been built by hand. We strive to build the best possible product we can, so we are confident you will be proud to use it. We firmly believe our business cornerstones drive us to perfect every Ayton Smiddy product. We are a business that was established in 1985. Doing business with us means you get both experience and expertise. We put that knowledge and professionalism to good use – giving you a quality product. Quality is demonstrated throughout our Design values. We offer you a comprehensive selection, including the opportunity to create a completely unique and bespoke project. Something we have perfected. Innovative style permeates throughout our entire range, each of which has unique features. It is all part and parcel of the quality and service you would expect from Ayton Smiddy. For you to be truly proud of your purchase, you have to be delighted with both the product and the service you receive. We understand that your experience of dealing with Ayton Smiddy will depend upon meeting your expectations. In both these regards we do not use sub-contractors to construct our buildings; we only use fully trained employees. This means everyone you deal with understands the importance of a high standard of service and they will care as much about your building and the welfare of your horse as you do. We want you to be proud of your building. We are proud to create it for you.